An endangered killer whale who earlier this year exhibited signs of an illness known as peanut head has drastically improved, according to researchers. The southern resident killer whale J17, a 42-year-old female orca, was extremely malnourished when researchers spotted her off B.C. 's coast on Dec. 31. J17 was starving so badly that photos showed her with a misshapen head and neck, or so-called peanut head. At the time, scientists predicted she would not survive. 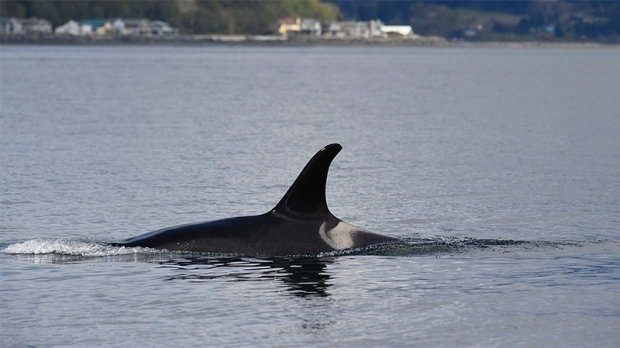 Researchers with the Center for Whale Research in Washington state caught up with her again in March, she was seen swimming with J Pod in the northern Haro Strait and appeared to have improved. Weeks later on April 7, researchers say they've spotted J17 again with J Pod in Admiralty Inlet, a strait off the coast of Washington that connects the Strait of Juan De Fuca to Puget Sound. "J17 has improved and showed little sign of the 'peanut-head' condition that had us very worried during an encounter with her on New Year's Eve," wrote researcher Ken Balcomb. He said many of the whales in the pod were engaging in social contact and occasionally lobtailing, or lifting their flukes out of the water and slapping them on the surface. 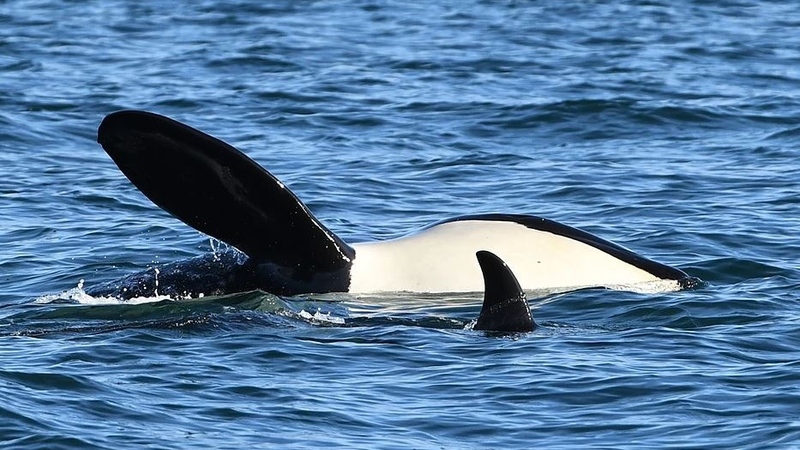 The pod was also seen foraging for food in the Salish Sea, which the centre believes "is a more important feeding area to them than it is to K or L pods that now rarely venture into the region." The news of J17's improved condition comes more than a week after researchers detected southern resident killer whales in southern California's Monterey Bay. Josh McInnes was taking part in a research survey in the bay when he saw the L Pod orcas, which he was familiar with from back home in Canada. Experts say southern resident orcas swimming as far south as the Californian coast – and the fact that a calf was seen frolicking with them – was "phenomenal."